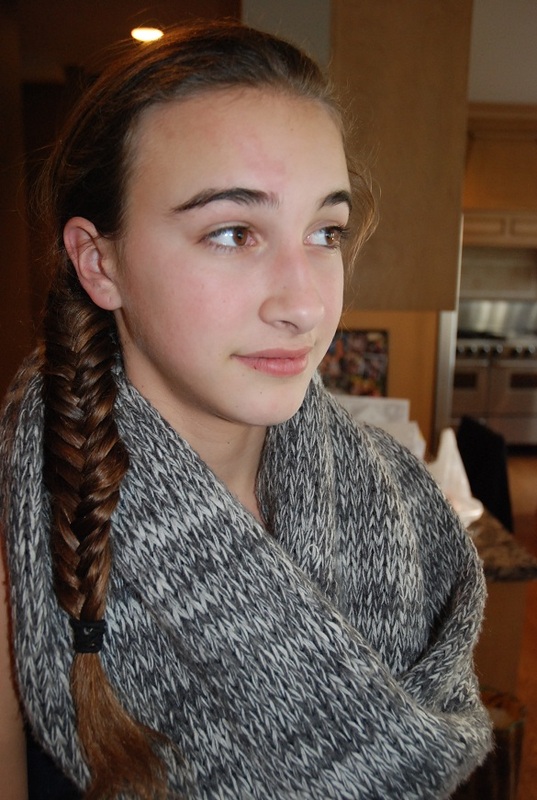 How much fun can you have with braids? Tons! 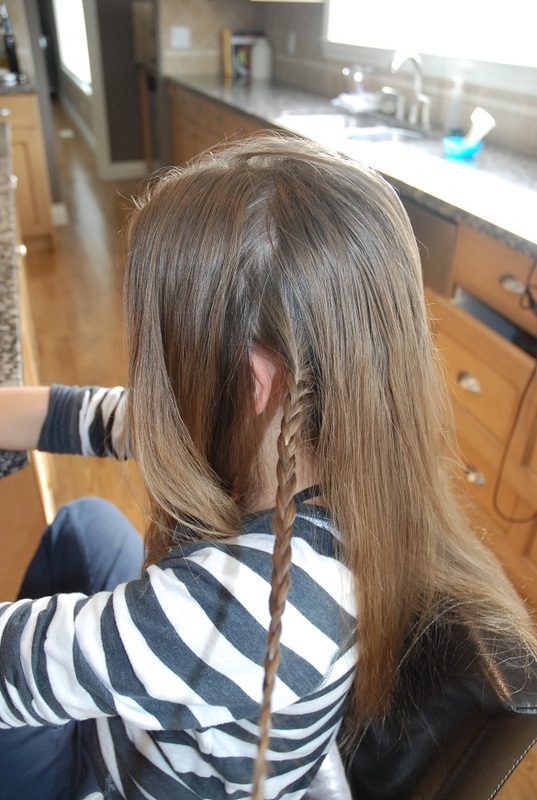 The age old method of braiding your hair is EVERYWHERE right now…and no longer is it just for the young’uns. 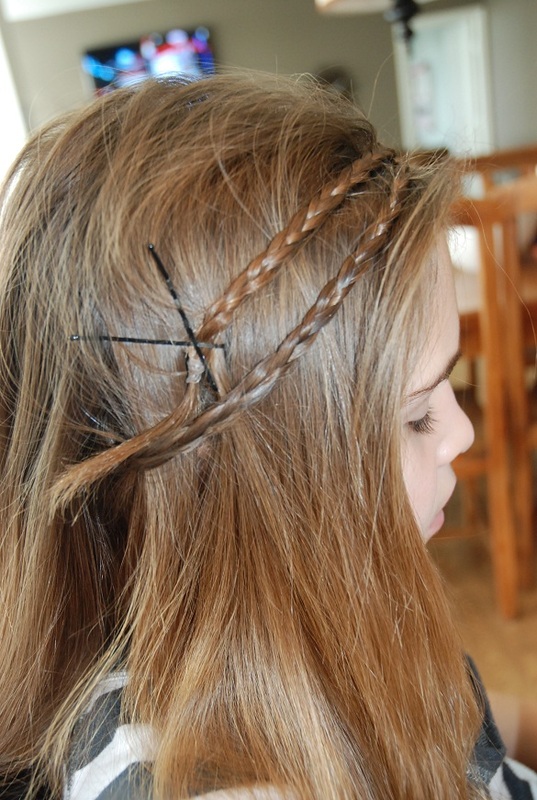 I’ve been experimenting with some different braids…thanks to my daughters’ long hair…and their patience! Because honestly, it’s easier to practice on someone else’s head! 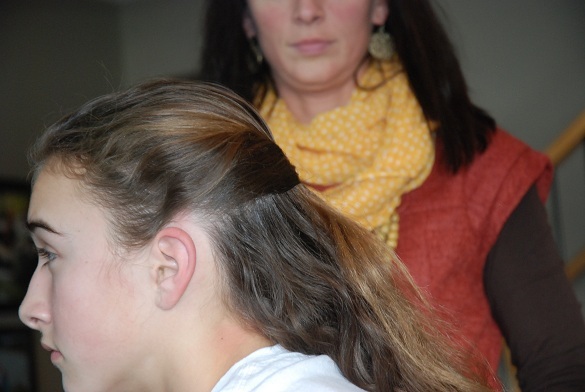 Flip your head upside, take a wide section and start frenchbraiding from the neck towards the top of your head. It doesn't have to be super neat or perfect! Attach a ponytail holder and then incorporate it into your sock bun...DONE!! 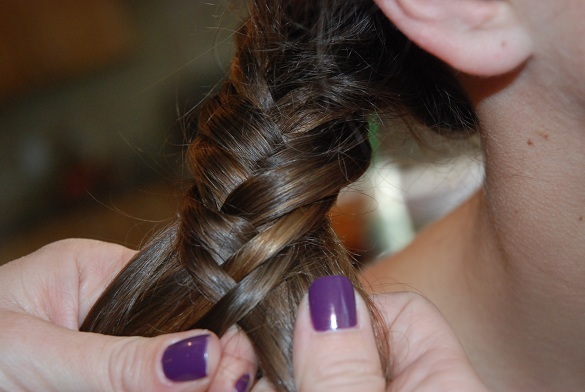 Take a section behind each ear and make a regular braid. 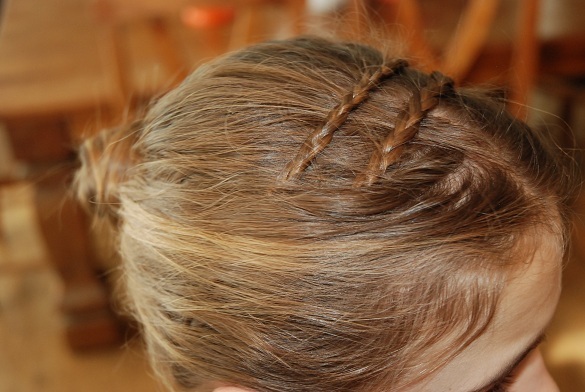 Take each braid, one at a time, and pull it up and over the crown of your head. Bobby pin into place...don't worry, your hair will cover it! 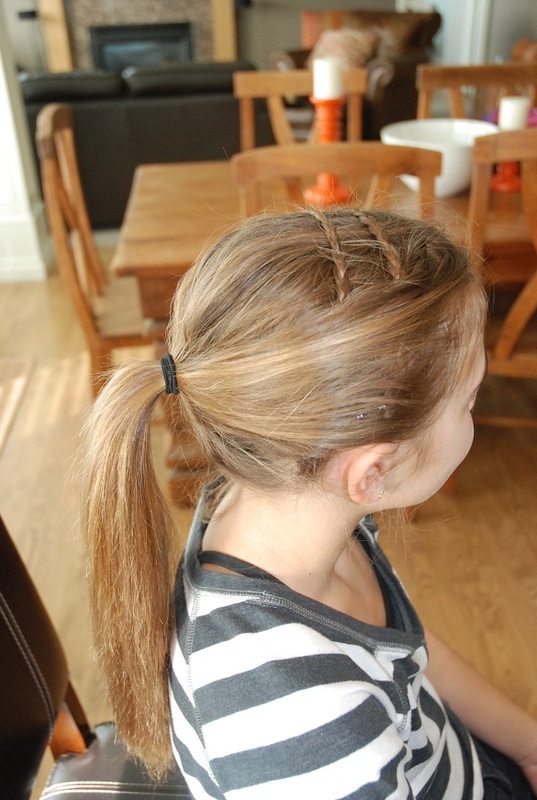 Sweep the hair in front of the braids to cover the pins and pull into a polished pony! Fun, hey? And the great thing with this style, is you can do any number of different takes on it…add more braids, vary the size, etc. 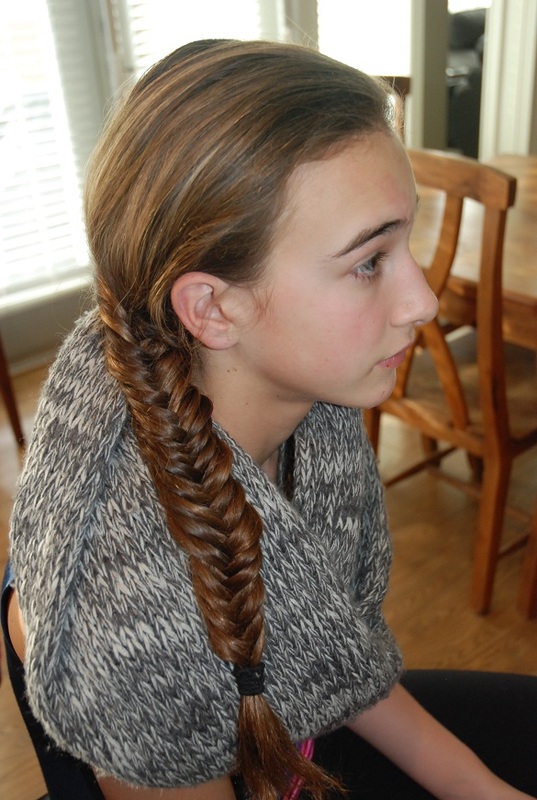 This braid is actually super easy to do. Once you have the hang of it, you’re golden! Sweep all of your hair to the right side of your head. Next, separate into two sections. 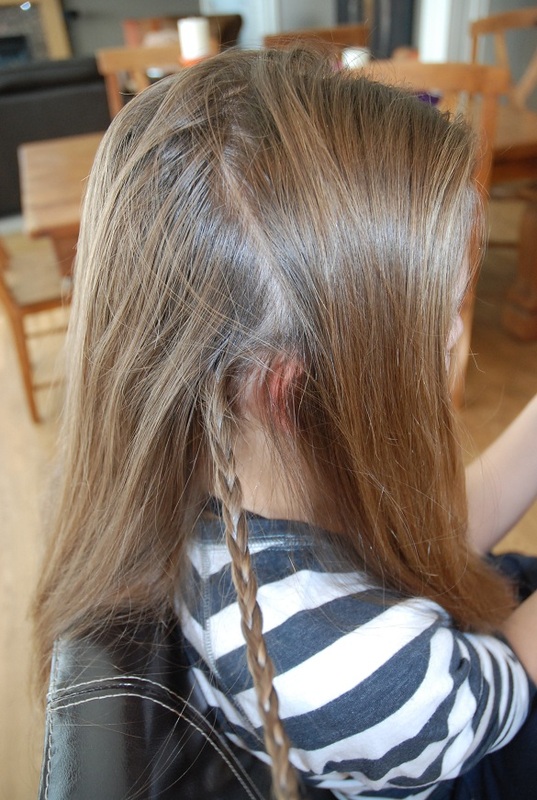 If you are worried that your hair isn’t going to be long enough, a little trick is to take a chunk of hair that’s on your left side (the hair that would have to stretch the longest, if you will) and pull it over your head and add to the piece in your right hand. It really works! Once you have the 2 sections, you’re ready to get going. So, you’ve got a piece in your right hand, and a piece in your left hand. You with me? Now take a little chunk from the outermost part of your right hand piece and add it to your left hand. Next, take a little chunk from the outermost part of your left hand piece and add it to the right hand. Make sense? And then just repeat! Here are my 2 sections.. Here I've taken a little chunk off of the right hand section and will be adding it to my left hand piece. It takes a little longer than traditional braiding, but i love the look! This looks great for casual as well as dressy too. Pull a couple pieces out on your left side by your ear to make is look softer, if you choose. What are your favorite ways to braid? Do tell!